By big and small I don’t mean the play of the same name with Cate Blanchett. I mean Tuesday, when I went to the oversized London Book Fair at Earls Court Exhibition Centre in the afternoon and to “The Art of the Short Story” at the Bloomsbury Salon in the evening. First the book fair. If I were in Canada and heard about this three-day book fair, I would sigh and say I wish I could go. Think of the expense: the flight, the place to stay, the fee for excess weight because of the books in my return suitcase. For £30 I walked down the street and attended the “Love Learning” themed fair with its “China Market Focus.” One is asked to register by category, so I selected “author.” Which reminded me that the last time I’d attended a book fair was as a student, so no wonder things have changed. 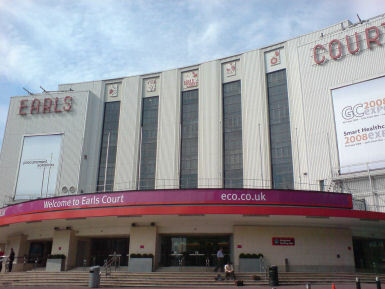 Earls Court Exhibition Centre is rumoured to be facing the wrecking ball. I had no appointments set up, which was just as well because the place was so huge that my appointment would have passed before I had found the stall I might have sought. There was no map at registration and no map at the door, so I lined up at the information booth. When the woman handed me a 386 page directory, I asked how many exhibitors there were. She directed me to the Organizers, where I queued again. My turn: “I just have one quick question, how many exhibitors are there?” For that kind of information, I was told, I would have to go to the media office. I said I was not registered as press. She said the media office was the only place that could answer my question. It took me half an hour to find the media office. As I searched I squeezed through the crowds looking for the Canadian publishers. Eventually I found 16 small presses sharing a booth. And here’s the thing. You can’t get at the books. There is a counter, and there are books on the wall behind the counter, along the back wall of the exhibit space. And in the area where you might want to mill around looking at books and maybe touching books, there are tables and chairs, where people are earnestly in conversation, apparently having a business meeting. Did I mention that when I registered I was given information relating to my behaviour as an author: that at the fair I was not to approach agents or publishers unless I already had an appointment to see them? At the media office I again asked my simple little question, making clear that I was not asking how many people were attending over three days but how many exhibitors there were. I was told to sit down and wait until someone who could answer my questions arrived. After a short wait a suit in high heels approached and rudely asked me what I wanted, standing over me and using the tone of a scolding parent. I explained. She told me that I couldn’t expect to speak to someone without an appointment as the media liaison people were very busy. She also told me that they didn’t have these figures until after the fair. She dismissed me by giving me a pre-fair media release. Lo and behold, the release was full of the facts I sought: over 1,500 exhibitors from 57 countries, bringing over 24,500 publishing professionals. In the evening I went to a reading at the Bloomsbury Institute. Yes, of course I walked all the way around the entire British museum before I found the building. This event was part of Bloomsbury’s Year of the Short Story. Jon McGregor (This Isn’t the Sort of Thing That Happens to Someone Like You), D.W. Wilson (Once You Break a Knuckle) and Roshi Fernando (Homesick) read from their new books. Given that Bloomsbury is not a small press the way the University of Athabasca Press is but more like McClelland and Stewart – established, literary – I was surprised by the small crowd and small venue. This event began in the green room, a glassed in enclosure on the side of the building. What was the difference between this small crowded room and the aggressive crowds of the huge space earlier in the day? People holding drinks and laughing. In my case laughing nervously. Then we were summoned to a room that appeared to be a library. My quick count estimated about 70 people seating themselves in fold-up chairs, which would be comparable to the small salle at the National Library in Ottawa. The readers set each other off: funny McGregor was followed by serious Wilson who was followed by the light note of Fernando. This was a lovely reading, meant to feel intimate, to encourage discussion with the writers about the short story. But isn’t it funny how people standing in front of people who are sitting down immediately puts a constraint on the situation – they are the authority, we are the admiring children. Can one ever have a real discussion in this situation? Even the questions reflected this: why do the British not like the short story, and what is their advice to a beginning writer? Maybe the questions should be submitted to the moderator during the drinks period, or maybe we should have had the reading first and then the discussion and drinks after. Speaking of after, I chatted with the woman next to me after the reading (about blogs and web email) and next thing we knew, it was too late to buy books and everyone was leaving. Ours were the last two coats. And so this small event was over. Thanks to D.W. for the invitation. 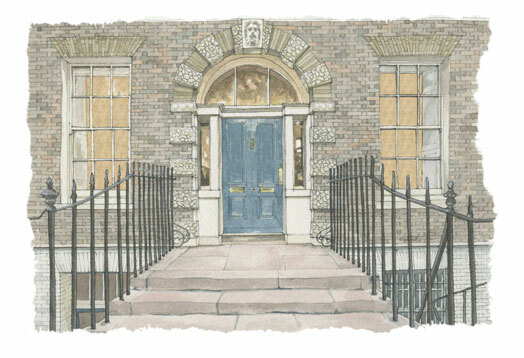 Read Bloomsbury’s free online sampler of short stories or listen to short story podcasts here. I’ve noticed at exhibitions how the press area suddenly becomes some kind of VIP area that ordinary people are often barred from interacting with. I don’t think its just this one. I have Jon McGregor’s collection and love short stories, must start it soon.